In everything you do, adaptability, flexibility and versatility are paramount. EcoTele offer a wide range of Local/UK & International number solutions that fit your companies growth strategy. Give your business a regional or global identity. Let us show you how to grow your sales. Ecotele provide a wide range of number solutions to suit your business. Contact us now. 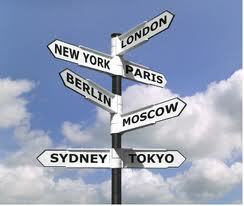 International Numbers - We supply most European & Worldwide destinations. Golden Numbers for landline & mobile. One Off Sales or Marketing Campaigns. Auto Attendant, Voicemail, Call Recording & Reporting Statistics available on every number we supply.